In this six-week course, The Globe and Mail’s Johanna Schneller will explore how the actresses we most revere are also a bellwether for the culture at large. What kind of women do we laud? When, and why? 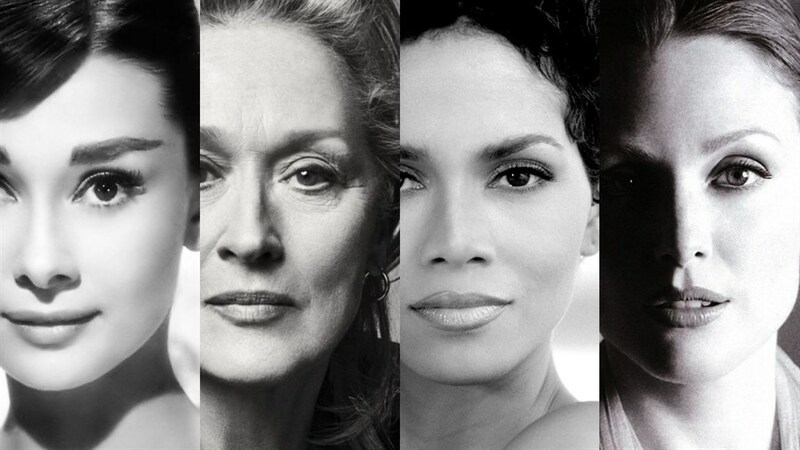 Focusing on screen icons like Audrey Hepburn, Jane Fonda, Meryl Streep and Halle Berry before widening out to examine their talented peers, we’ll explore how the role of Actress has changed since the 1960s, reflecting what society thinks of women and what we want them to represent. We’ll chart how the rise of the Hollywood blockbuster pushed actresses to the margins, and into independent films; and how the rise of women writers and directors is bringing them back to the centre of their own stories. We’ll focus on a few key actresses per decade, show lots of clips, and feature spirited discussions with special surprise guests. This course is led by Johanna Schneller, one of North America’s leading entertainment journalists. A popular film columnist at The Globe and Mail, Johanna has interviewed and profiled many of the wonderful actresses at the centre of this series. With society roiling around them, actresses like Christie and Hepburn projected a bold and glamorous image for the 1960s. They were untouchable royalty, perhaps the last of their ilk. A handful of European beauties matched their big screen appeal but toward the end of the decade, the glamour began to darken, in films like Belle du Jour, Rosemary’s Baby, and Bonnie and Clyde. As Dunaway showed in Chinatown and Network, and Fonda showed in Klute and Coming Home, the ‘70s brought women powerhouse roles, which they made their own. When a strong woman claimed her turf – in films like Cabaret, Alice Doesn’t Live Here Anymore, and An Unmarried Woman – she broadened it for all women. By the end of the decade, Sally Field was standing on tables in Norma Rae, demanding that women be heard. 9 to 5 was the number two movie of 1980, as Jane Fonda, Lily Tomlin and Dolly Parton took over the office, ushering in a decade where actresses, though still stunning, are all about the work. Meryl Streep and Jessica Lange embodied that hardworking spirit, racking up Oscar nominations in one iconic film after the next – Out of Africa, Sophie’s Choice and Tootsie, to name just a few! As media conglomerates took over the Hollywood studios, they started courting the young male demographic and women began to fall into two camps: sweethearts like Meg Ryan, Julia Roberts and Sandra Bullock starred in mega-hits while the award-nominated performances of Julianne Moore, Nicole Kidman and Emma Thompson were stuck at the bottom of the box office. New stars like Kate Winslet and Gwyneth Paltrow tried to hit the sweet spot between artistic excellence and commercial appeal but the strongest female performances were often playing in the smallest theatres. Great actresses are always with us. But in the ‘00s, we had to look harder for them. Cate Blanchett, Tilda Swinton, and Hillary Swank would arrive, do something amazing, and then vanish while they fought to get their next film financed. As the meatiest roles for women were increasingly found in independent film, more women of colour rose to the fore, with brilliant performers like Halle Berry (Monster’s Ball), Viola Davis (Doubt) and Shohreh Aghdashloo (House of Sand and Fog) earning well-deserved recognition at the Oscars. Today’s actresses are brands, mixing franchise movies and makeup contracts (for the paycheque) with art-house films (for the soul). Jennifer Lawrence stars in The Hunger Games and X-Men, and shines in Winter’s Bone and Silver Linings Playbook. Reese Witherspoon, Jessica Chastain, Nicole Kidman and Rachel Weisz use their own production companies to develop their own material. We’ll close by looking at how the #MeToo and #TimesUp movements are forcing doors open and how films like Wonder Woman and Crazy Rich Asians are proving that stories with previously overlooked heroines can be box office hits, too.